Ministry of Housing and Urban Affairs has partnered with Google to launch Loo Review campaign on Google Map. The joint campaign has been launched under aegis of Swachh Bharat Mission – Urban (SBM–U). It will run throughout October and November 2018 in an effort to increase awareness and ease of locating public toilets across India. 500 plus cities in India with more than 30,000 toilets with name of “SBM Toilet” are currently live on Google Maps. Second Anniversary of Surgical Strike was celebrated as Parakram Parv or Surgical Strike Day on September 29 – 30, 2018 by Indian Army to showcase gallant action of brave Army in the conduct of Surgical Strikes on September 29, 2016. This day was also marked to remember sacrifice of soldiers during ‘Uri incident’. 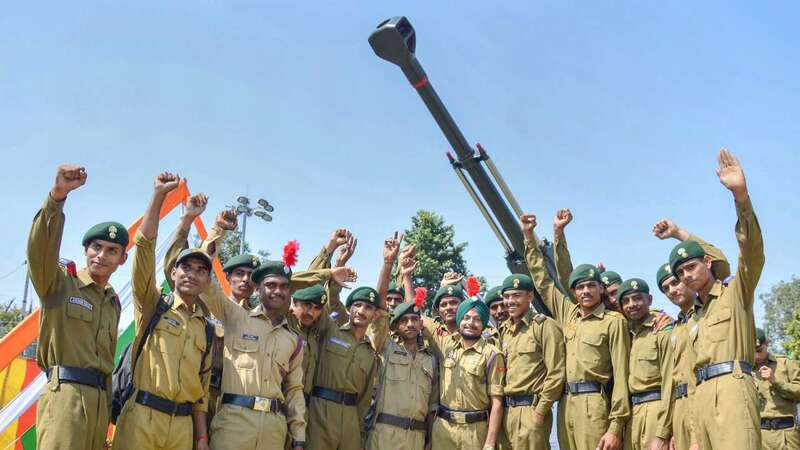 The Parakram Parv celebrations were inaugurated by Prime Minister Narendra Modi at ‘Combined Commanders’ Conference in Jodhpur, Rajasthan. United States and Morocco have launched GCTF Terrorist Travel Initiative under auspices of Global Counterterrorism Forum (GCTF). The initiative brings together stakeholders to share expertise on developing and implementing effective counterterrorism watch listing and screening tools. The new initiative will strengthen UNSC Resolution 2396 aiming to stop terrorist travel altogether. GCTF was launched officially in New York on 22 September 2011. The Centre of Excellence for Data Analytics (CEDA) was inaugurated by Union IT Minister Ravi Shankar Prasad in New Delhi on September 28, 2018. The centre has been set up by the National Informatics Centre (NIC) in a joint initiative with National Informatics Centre Services Incorporated (NICSI) to support government departments to unlock the hidden potential of the data that they are generating as a part of the governance processes and use it to improve the overall governance. The centre will help in fast-tracking the adoption of advanced world-class data analytics services in government. The five-judge bench comprising Chief Justice Dipak Misra and Justices R F Nariman, A M Khanwilkar, D Y Chandrachud and Indu Malhotra unanimously held 158-year-old Section 497 of the Indian Penal Code, which deals with the offence of adultery, as unconstitutional and arbitrary. The court said Section 497 is violative of right to equality and right to equal opportunity to women and disallows them from making their own choices. The Union Cabinet has approved providing central assistance worth Rs 620.42 crore and Rs 205.758 crore for implementation of relining of Rajasthan Feeder Canal and Sirhind Feeder Canal respectively over five years from 2018-19 to 2022-23 to address the problem of water-logging in 84800 Ha of land in Muktsar, Faridkot and Ferozpur districts in South-West Punjab and enhance the water availability in the two canals. The funding shall be made through NABARD under existing system for funding of PMKSY-AIBP projects under LTIF. On mutual cooperation in combating illicit trafficking in narcotics, drugs, psychotropic substances and precursors. On cooperation in the sphere of law and justice. For establishment of the Uzbek-Indian Free Pharmaceutical Zone in the Andijan Region of Uzbekistan. For cooperation in the field of agriculture and allied sectors. Prime Minister Narendra Modi inaugurated the Conference on Academic Leadership on Education for Resurgence on September 29, 2018 in New Delhi. The event was jointly organised by UGC, AICTE, ICSSR, IGNCA, IGNOU, JNU and SGT University. The theme of the Conference was to deliberate on the challenges facing the Indian education system and to work out a plan for a paradigm shift both in terms of achieving academic outcomes and also in the regulation of education. The National Tourism Awards 2016-17 were presented by Union Minister for Tourism (IC), K J Alphons on September 27, 2018, on the occasion of the World Tourism Day, which is being celebrated globally with the theme ‘Tourism & Digital Transformation’. The Tourism Minister also launched the ‘Incredible India Mobile App’ and the ‘Incredible India Tourist Facilitators Certification’ programme. This year, a total of 77 awards were presented to the tourism industry stakeholders, state governments, central agencies and individuals. Best Heritage city award was given to Ahmedabad and Mandu jointly. 1. Who launched GCTF Terrorist Travel Initiative under auspices of Global Counterterrorism Forum (GCTF)? 2. The Centre of Excellence for Data Analytics (CEDA) was inaugurated by Union IT Minister Ravi Shankar Prasad in ____? 3. Who among the following is not a member of five-judge bench that made 158-year-old Section of the IPC, which deals with the offence of adultery, as unconstitutional and arbitrary? 4. Section ___ of the Indian Penal Code deals with the offence of adultery? 5. Which among the following is not a MoU between India and Uzbekistan? 6. Who inaugurated the Conference on Academic Leadership on Education for Resurgence on September 29, 2018? 7. How many awards were presented this year by Ministry of Tourism for National Tourism Awards?